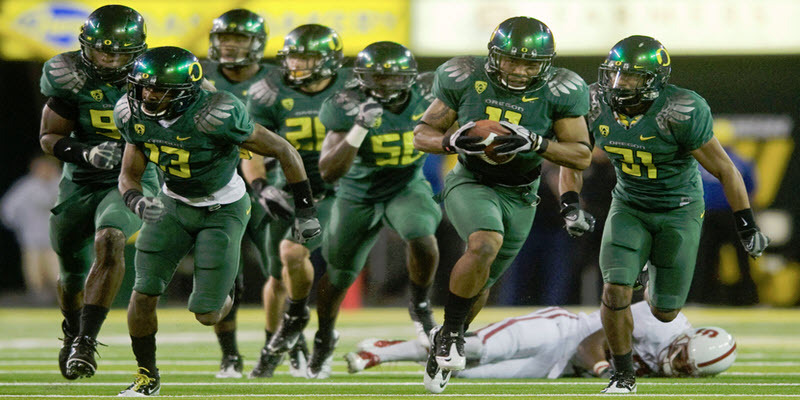 —8.The Coach’s Corner: Shutting Down Oregon’s Spread With the 4-3 Defense? —11. 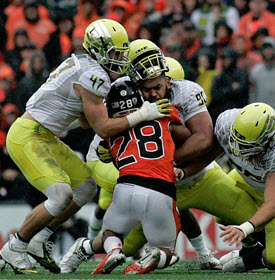 How Oregon’s Secondary Protects the Nest with the “Cover Zero” Defense! What does Oregon’s defense do in the secondary when they are faced with an opposing offense in the Red Zone and the Ducks are in danger of being scored upon? Your beloved Ducks often rely on the easiest coverage to implement, but leaving each pass defender “on an island” with his man….and that would be the Cover Zero defense! Directory 10. DeForest Buckner getting closing in on a sack. A pick and off to the races! —14. 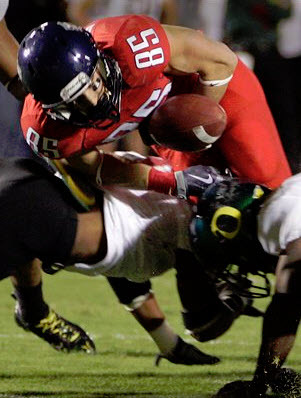 How Oregon “Stems” into Big Defensive Plays! Josh Schlichter looks at the different defenses used to slow down the Spread Offenses and features information from Auburn’s Gus Malzahn, Monte Kiffin, and Clancy Pendergast. Charles Fischer and Coach Mike Morris look at the growing trend of defenses playing a base, such as a 3-4, but also delving into other defenses as game conditions will dictate. Justin Samples, who played in the 3-4 Hybrid defense in college gives fans and coaches perspectives concerning the 3-4 and the 3-3-5 defense. Fans of Oregon will take note as well as college football fans learning the changes occurring in defenses today to combat the prolific spread offenses. Coach Mike Morris breaks down the defense techniques needed to stop one of college football new power plays out of the Spread Offense. 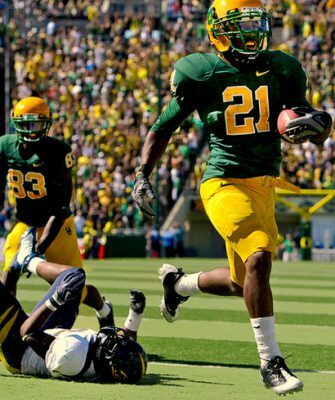 Great for coaches, fans of all teams, and of course for Oregon Football fans. Coach Mike Morris reveals “one of the hardest defenses ever to block” to both college football fans and coaches, but also to Oregon fans. A defensive classic! Coach Eric Boles breaks down the 2-4-5 defense and how it is a good option for coaches. Coach Mike Morris has a superb article about player profile that will play certain alignments, the techniques for the player and how he works within that defense. A great primer for coaches and fans. Joe Kearns shows the defensive techniques of Inside Linebackers against some of the favorite plays used within the Spread Offense. A tremendous resource! 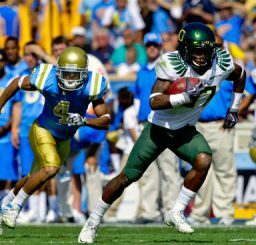 Go to the OREGON FOOTBALL ANALYSIS LIBRARY by FishDuck.com front page to find the articles and links here. Articles about the Oregon Spread Offense under coaches Chip Kelly, Mark Helfrich, Scott Frost, Mario Cristobal, Marcus Arroyo and Willie Taggart are present along with plays and tactics. 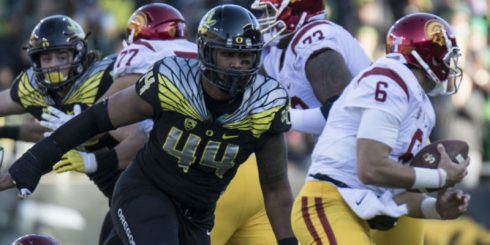 The Oregon Defensive Articles and Analysis are present on this page as well. If you have an article or video link you would like to share with the Oregon Football Repository, then email me charles@fishduck.com as the writers and editors of the site are grateful for the help.